Few people have held an entire country hostage as brutally and efficiently as Pablo Escobar, the terrifying (and terroristic) drug kingpin who ruled Colombia’s cocaine trade throughout the 1980s and early 1980s. He was a ruthless, yet multifaceted crime lord who is hated by many, and loved by … also surprisingly many, as it turns out. Although Escobar was only 44 years old when he died, his life and deeds had a massive impact that continues to send shockwaves even today. This is his story. Eventually, young Pablo discovered a new trade: Colombia’s neighboring countries such as Peru and Bolivia were huge growers of the coca leaf, and he started smuggling a certain substance derived from said plant: Cocaine. The rest, as they say, was history. The key to Escobar’s success was that he managed to establish secure smuggling routes for his product pretty early on, and enforce them so efficiently that at the height of his powers, he was responsible for 80% of all cocaine in the United States. His decision to stop using traditional drug mules and rely on small planes flown by Carlos Lehder Rivas and George “El Americano” Jung. On a single flight, they would haul up to 500 kilograms of cocaine to the Bahamas, where the product would later be moved to the US. Escobar’s drug manufacturing labs were equally clever: One 200-person lab had all its employees living in houses built on small wheels, so whenever a plane radioed that it was coming for a pickup, they’d roll the houses to the side to reveal a secret landing strip. Later, once his routes were safely established, Escobar moved to massive cargo planes that could fly up to 145 tons of the drug, and even acquired a couple of remote-controlled drug submarines from the Soviet Navy. Meanwhile, he used a luxurious Learjet to smuggle the drug cash out of the US, figuring that the yuppie status symbol plane was so flashy and in-your-face that it would never be searched. Pablo Escobar was not a man who made threats — only promises. His most famous one was his “Plata o Plomo” policy, which roughly translates to “silver or lead.” This was the question he or one of his lackeys asked many a government official and police officer during Escobar’s reign of terror, and the choice was simple: Either take Escobar’s money and spend your life in his pocket, or take his bullets and have no life at all. Sometimes, people either didn’t choose “plata” or were otherwise in Escobar’s way. As a result of this policy and other occupational hazards, it’s estimated that Escobar was responsible for the deaths of over 5,000 people. He even encouraged the Medellin Cartel’s hit men to kill every police officer they came across, to the point where he paid them a “kill fee” of roughly $660 per dead cop. The ruthlessness of Escobar’s methods is hard to convey, and many survivors feel that Narcos and other shows and movies featuring the drug lord have never been able to properly present the fact that he was the source of many great rivers of blood. Ironically, despite Escobar’s Medellin cartel initially controlling the game, the Cali cartel came out on top in the end. Cali was a more mild-mannered and well-behaved group that did kill people when necessary, but preferred to use more civilized tactics (read: bribery) and integrate themselves fully with society rather than rule it with iron fist. 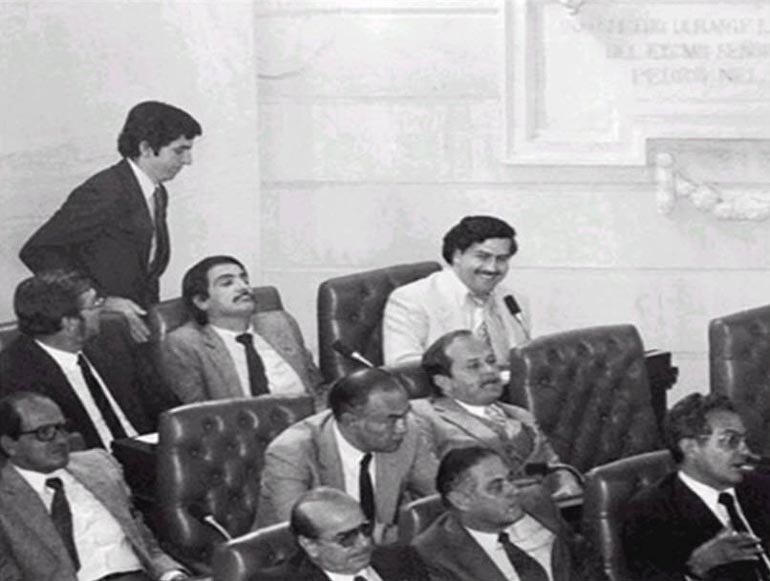 When Escobar and Medellin were busy strong-arming their opponents with bullets and bombs until they received the full ire of the Colombian and US governments, the Cali cartel just neatly sidestepped the onslaught by dropping out of sight and quietly returning to work until the dust settled. As a result of their carrot-not-stick tactics, by 1989 they were actually shipping more cocaine than Escobar. Pablo Escobar’s infamous 1980s dwelling, Hacienda Napoles, was a vast ranch full of strange sculptures, swimming pools, replicas of drug-smuggling aeroplanes and, most famously, a large zoo. Escobar was fond of smuggling animals into the ranch, and by the time the government confiscated Hacienda Napoles in the early 1990s, the menagerie included creatures such as elephants, giraffes and hippos. The hippos are still around, incidentally — though Escobar himself is long gone, the animals escaped, thrived in the wilderness, and multiplied. Today, the area has an estimated 40 to 60 happy hippos roaming about. Yet somehow, Hacienda Napoles wasn’t even Escobar’s most luxurious pad. In 1991, the billionaire grew tired of his life as a technical fugitive who was in constant danger from his enemies, so he decided to cut a deal with the government. He would surrender and even go to prison … on the condition that he would be able to build the prison. Not only would this technically serve justice, but Escobar would also be safe from his enemies in other cartels. The end result was even more luxurious than his previous accommodations: A massive palace called The Cathedral, looming over the city of Medellin. The Cathedral featured a ridiculous amount of amenities, such as its own football pitch, hot tub, and even a giant dollhouse. Escobar would host massive parties and get-togethers, sometimes happily kicking ball with the Colombian national soccer team while prison guards served drink like they were waiters. This happy arrangement soon went sour when Escobar murdered two underlings on the premises. The government was less than thrilled with the drug lord happily killing people while technically within their custody, and decided to try and move Escobar to a more conventional prison. This went roughly as well as expected: The ensuing confrontation required military intervention, while Escobar quietly slipped away in the turmoil and vanished into the countryside. Not everyone saw Pablo Escobar as a frightening criminal. Many poor Colombians actually compared him to Robin Hood, because he spent a significant amount of money in various projects that aided the poverty-stricken people of his country. Even today, the drug lord remains a popular, yet divisive figure among the people of Colombia. “Pablito” stickers that bear a Che Guevara-style stencil image of the ruthless criminal routinely outsell Hello Kitty and Jesus at Medellin’s market stalls, and the city’s commercial district is awash with wrist watches and T-shirts bearing his image, and books and DVDs telling assorted versions of his story. In Medellin, the only thing people can agree on about Escobar is that he’s part of their history. Some say that his iconization doesn’t really concern them because they were too young to witness his reign of terror. Others genuinely think of him as a saint and a source of neighborhood pride, thanks to the many gifts he showered the city’s poorest people with to gain their loyalty. Others still look at “Pablito’s” pop culture status with sadness, because they remember the fathers and family members who died in the monstrous crime lord’s constant war against the law-abiding world. Understandably, Escobar’s criminal empire netted him an insane amount of cash. Because it criminally earned cash money, it’s also very difficult to say precisely how rich he was. Despite the fact that everyone and their dog knew what Escobar was doing for a living, Forbes tried to keep track of the cartel leader’s wealth, and accepted him on its prestigious list of billionaires for a whopping seven years. The DEA actually helped them estimate the drug lord’s net worth, which may or may not be why the magazine also managed to predict the year that Escobar finally died. According to Forbes, Escobar peaked at a solid #7 spot on the billionaires’ list, but it’s anyone’s guess how much money he actually had. Most reports seem to settle on a ballpark figure of $25 billion or thereabouts. Despite the fact that he was, to put it bluntly, one of the world’s most notorious criminals and terrorists, Escobar always had political aspirations. A large part of his Robin Hood antics was to gain public support for his campaign for a seat in congress, which, much to the horror of the less mass-murdering politicians of the country, he ended up winning. In the congress, he continued his seemingly civically-minded ways, and machinated many neighborhoods’ rejuvenations, football fields, reforestation programs and hardware donations. Of course, Escobar had ulterior motives all along: His main political focus was to ensure that Colombian citizens could not be extradited to the US, which what with one thing and another was a thing of personal interest to the man. However, this eventually bit him in the rear. First, Colombia’s Justice Minister Rodrigo Lara Bonilla called the gangster out as, well, a gangster. Then, a particularly influential newspaper man managed to locate an old news story that showed that Escobar had been arrested in his youth for possessing a not insignificant 39 pounds of cocaine. As a result of this multidirectional attack, Escobar was booted out of the congress, got the FBI on his tail, and had to go on the run. The best way to describe Escobar’s true wealth is with anecdotes. It is said that roughly 10% of his money — an estimated $2.1 billion — would be written off every year, simply because rats would eat it in storage, or there would be water damage, or the money would simply be misplaced. Another famous way to describe his wealth is that the cartel had to spend around $2,500 a month … just to buy the rubber bands they used to bind stacks of bills together. As a result of his extreme wealth, Escobar’s relationship with money was somewhat different than a normal person’s. At one point during the fugitive stages of his life, Escobar and his family were hiding from their enemies in a mountainside hideout. When the family’s daughter became hypothermic, Escobar solved the situation … by burning $2 million just to keep her warm. Who killed the narcoterrorist Pablo Escobar? The answer remains shrouded in mystery. We know that he was gunned down on December 2, 1993, while trying to pull off a rooftop escape from the assassin squad that had attacked his hideout in Medellin. A famous image of Colombian government troops posing with his corpse has led many to believe that he was killed by the “Search Bloc” troops, a special police unit formed to put an end to the drug baron. However, multiple sources indicate that the men in the picture might not have had anything to do with Escobar’s death, or if they did, they may not have been legitimate cops or soldiers. Escobar was also hunted by a group known as “People Persecuted by Pablo Escobar,” or Los Pepes for short. This group of angry vigilantes consisted of shady paramilitary dudes, rival drug criminals, and regular people who were scorned by or fed up with the billionaire criminal. This less-than-lawful group was likely funded by Escobar’s mortal enemies, the Cali cartel … and according to persistent allegations, received tons of help from the American and Colombian governments. Yes, the officials allegedly let loose a gung-ho gang of Punishers to deal with Escobar once and for all. The year 1993 saw Los Pepes wreak havoc on everyone even loosely associated with Escobar, taking down as many as six of the billionaire’s associates per day. Escobar retaliated with bomb attacks, and Los Pepes returned the favor by destroying his properties in turn. This cat-and-mouse game finally ended in early December, when — again, allegedly — a group of Los Pepes joined Search Bloc in their final mission against Escobar … and, according to a Los Pepes member known as Don Berna, it was a member of Los Pepes who fired the lethal shot (Don Berna’s brother Rodolfo, to be specific). Of course, to make things even more confusing, there’s a third potential killer: Pablo Escobar himself. According to Escobar’s son, Sebastian Marroquin, the Medellin leader had always planned to shoot himself in the right ear if it ever looked like he was about to be taken alive.